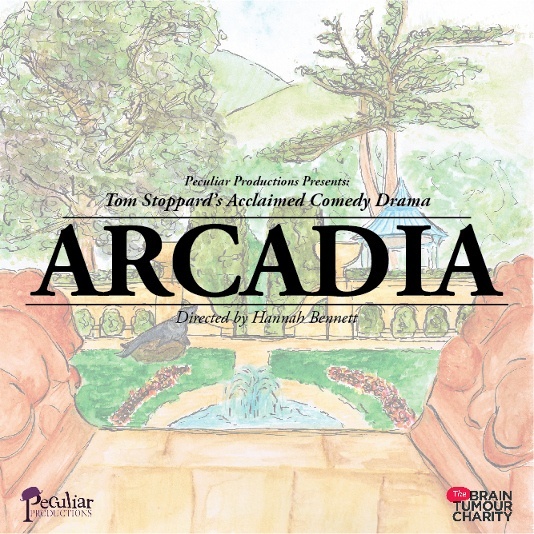 Peculiar Productions presents Tom Stoppard’s fascinating and witty comedy, Arcadia. Winner of the 1993 Laurence Olivier Award, Stoppard’s script is a sparky, intellectual masterpiece from one of the UK’s most talented playwrights. At Sidley Park in 1809, the house is rife with intrigue and happenings, as the infamous Lord Byron is staying with the Coverly family. Whilst the gardens are being redesigned - much to Lady Croom’s distress - the youngest daughter, Thomasina, is being tutored in the classics by Byron’s contemporary, Septimus. Two centuries later, a group of academics convene at the same location to discuss the events that followed: did Byron take part in a fatal duel? Is the story of the mysterious Sidley Park hermit really just a myth? And who was spied with Mrs. Chater in the gazebo? Please note: this production has a minimum recommended age of 15, due to strong language. There will also be flashing lights during the performance. Doors open 7pm for 7:30pm show start. This amateur production of “Arcadia” is presented by special arrangement with SAMUEL FRENCH LTD.